Think it came out in late May or June 2016 so 6 months max but remember we had the full show on TV about 3 weeks after. 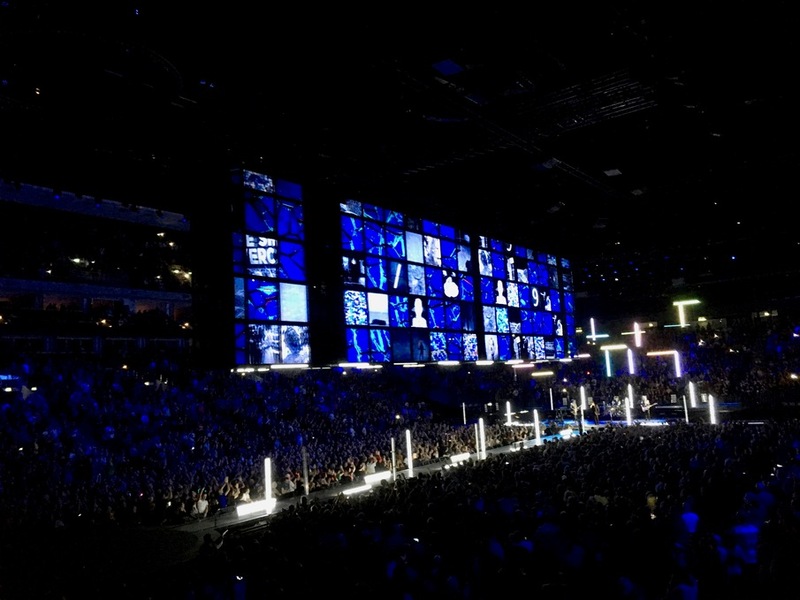 Originally posted by zooropa93 :Think it came out in late May or June 2016 so 6 months max but remember we had the full show on TV about 3 weeks after. ooh you're right! well, here's hoping it's gonna take six months max. One of the very few moments of the night which maybe didn’t get quite the reception it deserved was bono pre best thing talking about realising his dad loved him, I found that very touching. If TJT30 comes to cinemas in March, it won't be out before April or May; so they need another "selling break" before the next release. Probably another 6 months after TJT. Which would also be closer to the maybe-OZ-tour which might give a sales boost to it. It's all about sales, marketing and money in the end. For those who can't wait, I will be done with the Multicam by Christmas or New Year's Eve. I wonder if there may be a broadcast of the Berlin show for the Christmas period. I recall one of the Paris shows being leaked prior to actual TV broadcast. I think we had that 2015 TV broadcast for a reason so soon as the aftermath of the Paris atrocities. All (both?) of the Paris shows were leaked not long after the gig. If I recall, they were mixed almost on the fly ready for the HBO broadcast a few hours after the gig. Given the time zone difference, they had some time to make additional tweaks. Originally posted by deanallison :One of the very few moments of the night which maybe didn’t get quite the reception it deserved was bono pre best thing talking about realising his dad loved him, I found that very touching. Originally posted by iTim :All (both?) of the Paris shows were leaked not long after the gig. If I recall, they were mixed almost on the fly ready for the HBO broadcast a few hours after the gig. Given the time zone difference, they had some time to make additional tweaks. Yes. I forgot about the fact they were for a HBO broadcast. I know versions exist different to the DVD release and ended up on YouTube. Yes it was touching. In combination with the speech and “I’m sorry” during Dirty Day. The IE and EI tours went from being about mother to coming to terms with father.